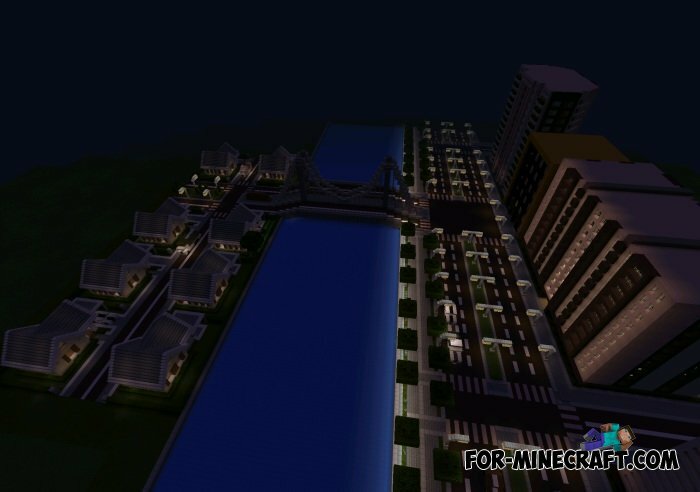 StrillFord City - modern city in the early stages of development. Bridges, shops, a variety of home and more. As already mentioned, this is a very early version of the city, but it certainly looks very promising. 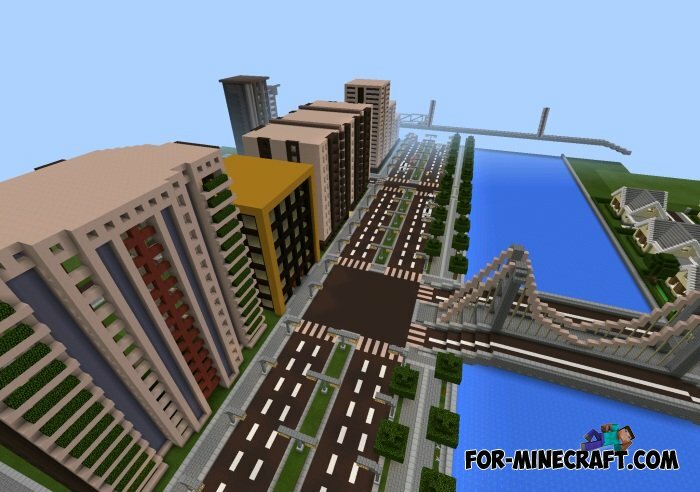 NXUS Modern City map for Minecraft PE 0.10.XOn the NXUS Modern City map awaits you fully and completely modern town, which contains all the modern amenities that simply must be in every modern town. 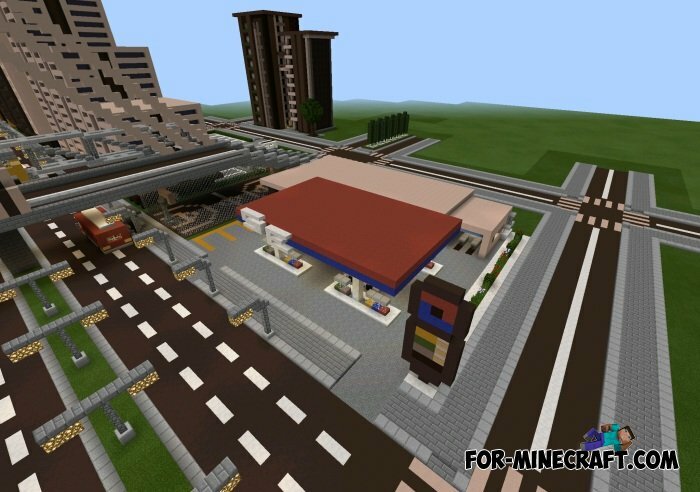 Tazader City 2015 map for MCPE 0.10.XThe most epic city received a massive update! 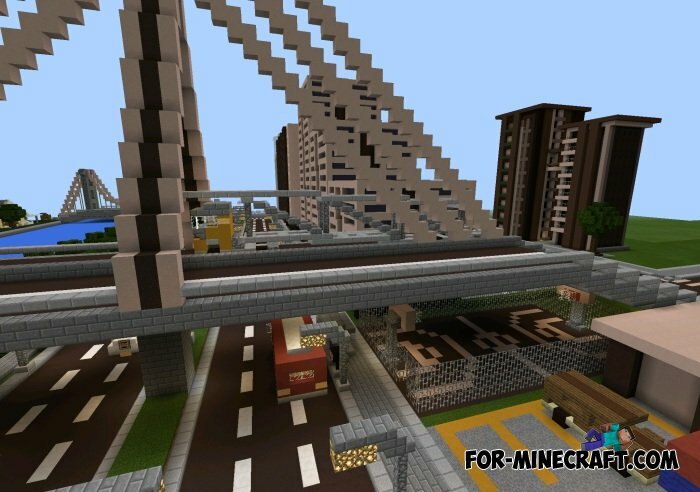 GIGANTIC CITY map for Minecraft PE 0.9.5We want to show you the most, even a giant city! 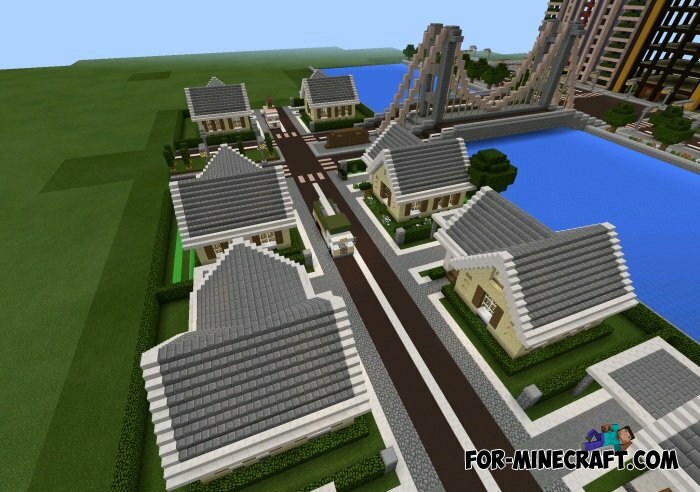 Imperial City Map for MinecraftImperial City - unique map for Minecraft with big city. 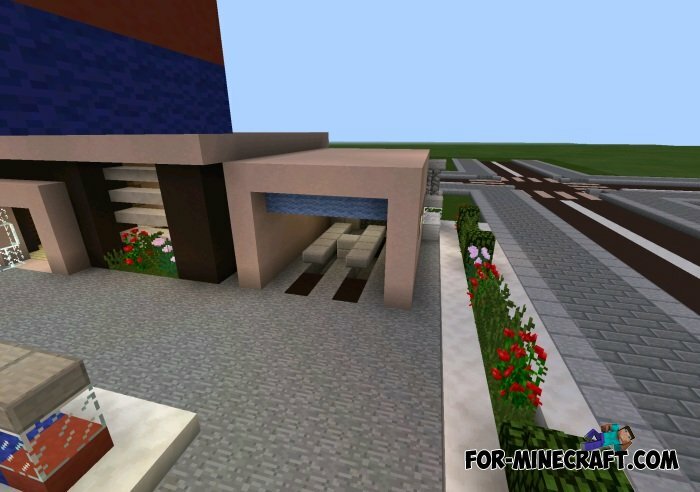 Fortress city map for Minecraft PEFortress town! Very beautiful map !